Spring is the most favorite season to visit Japan due to famous Sakura (cherry blossom) festival and cultural events. 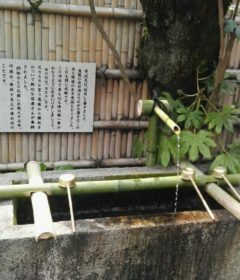 Moreover, the weather in Spring is quite warm, perfect to explore many places in Japan. 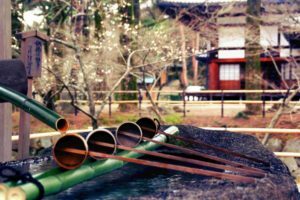 If you plan to visit Japan, the beginning of March till April is the best time for Spring. 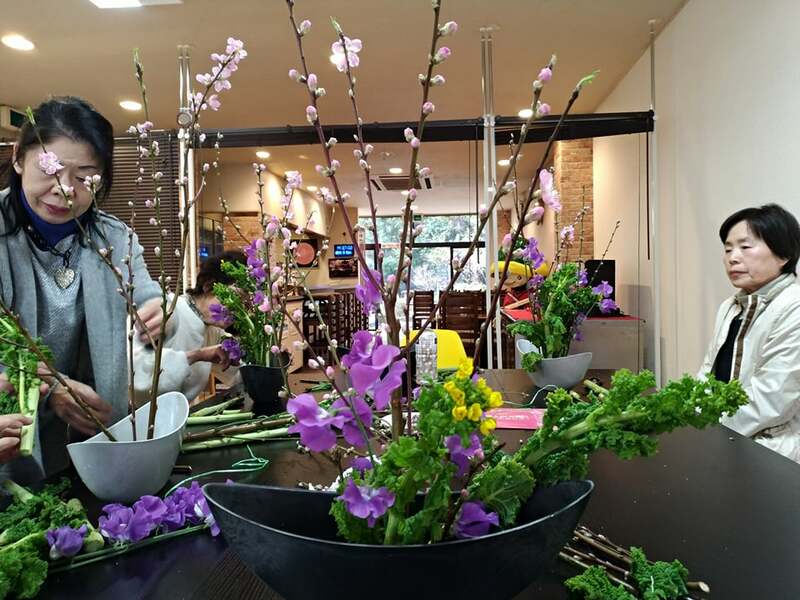 At the beginning of March, you will see an interesting view of doll arrangement with flowers, chocolate, candy in the altar, and display in the shops, restaurants, shopping mall, and house. Every March 3, there is a special event called, Hinamatsuri (Doll Festival) or girls’ festival to pray for the healthy growth and happiness of little girls. 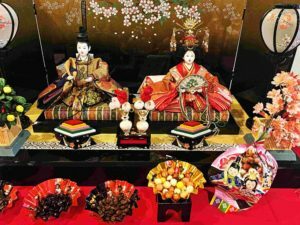 Hinamatsuri has begun over 1000 years ago in the Heian period (8th-12th centuries) when Japanese people believed that dolls had spiritual power to control evil spirit. In that period, the dolls made by straw put into a small boat and float them down in the river to the sea (Hina-nagashi or floating dolls). This ritual was believed to bring away the bad luck and protect their daughters. In Edo time, Japanese began to display the dolls in their home as a symbol of purity and good luck for their daughters. 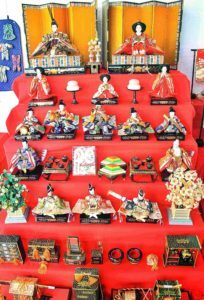 Nowadays, only a few shrines hold the Hina-nagashi and mostly Japanese people display the dolls at their home. The dolls display in the step platform (hina-dan) with a foldable gold back panel (byoubu) are covered with red fabric. On the top tier is Dairi-bina representing the emperor and the empress (Otoko-bina and Onna-bina). Dairi-bina is representing of hoping of their daughter grow up healthy and having an ideal marriage like the Emperor and the Empress. The second tier is the three court ladies (san-nin kanjo), their role to support the Emperor and Empress. The third, fourth, fifth tiers are musicians (Go-nin), ministers (sedaijin and udaijin) and servants (shichou-eji), respectively. The bottom of tiers holding personal items of the royal court. The meaning of tiers are teaching children about good moral, support and care with the others, having fun, respect the elderly, learning the human emotion (happy, sad and angry). Kameoka city is located 20 km west of Kyoto with a population approximately 100,000 inhabitants. 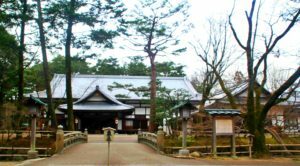 The history of Kameoka link with the famous Akechi Mitsuhide (1526-1582) who built Kameyama Castle with the ruin of the foundation still remains in the Kameyama castle town. In Kameoka, hinamatsuri exhibits around the town. The information center in the Kameoka station will provide tourists with hinamatsuri map in the town with hina dolls display from the noble wedding of the Edo, Meiji, Taishō, and Shōwa periods. Hinamatsuri celebrates on the March 3rd following the old Japanese calendar (lunar calendar system), on which the day is 20-30 days behind of the present solar calendar. 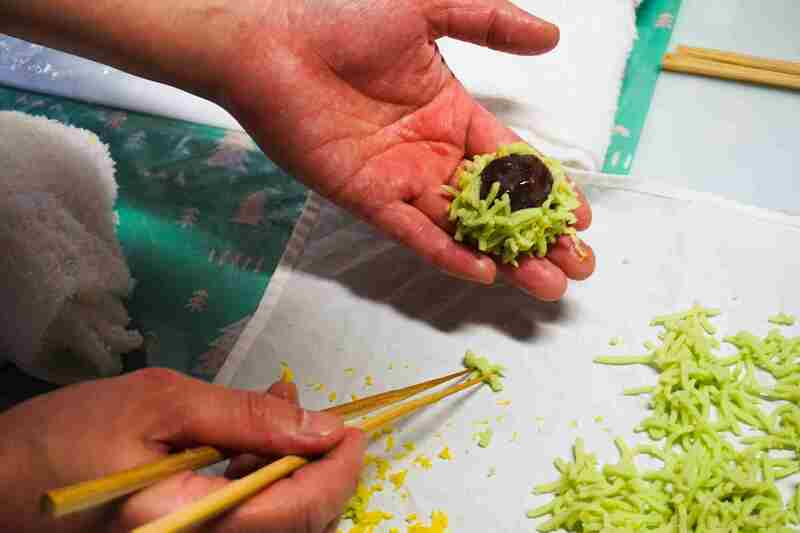 Japanese families start to decorate their hina dolls from February till March 3. The Kameoka city holds Hina-doll festival from March 3 to March 11 and during the period the museums, shops, and houses display their hina dolls. The common belief in Japanese culture, when the hina dolls display the day after the festival, it will harm the daughters’ marriage prospects. Despite hinamatsuri, March 3 is also referring to momo no sekku (the peach festival) to celebrate the blossoms of a peach tree. Peach (momo) flower is quite similar with sakura (cherry blossom). Peach flowers blossom in the mid-March and Sakura blossom at the end of March. 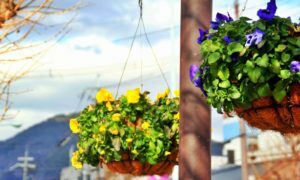 However, due to extreme weather, it can bloom earlier or shift. 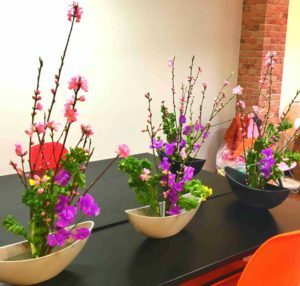 Peach flowers usually use in Ikebana (Japanese flower arrangement) as a trend for the spring flower arrangement. The peach blossoms mostly display beside hina dolls along with three layers of rice cake, hishi-mochi (pink, white, and green). The meaning of the color of the layers are pink represents peach blossoms, white represents snow for purity, and green represents health. 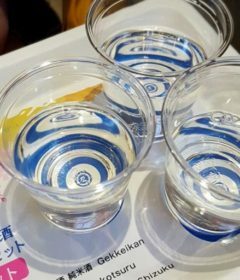 Some traditional foods are also serve in hinamatsuri such as chirashizushi or scattered sushi, clamp soup (hamaguri ushio–jiru), sakura mochi and amazake (sweet sake). However, it differs from the region. 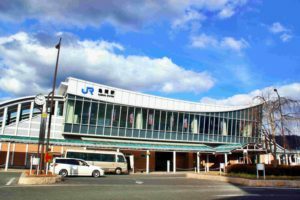 Kameoka city can be accessed from JR Kyoto station or take Torokko Train Line (Romantic Train) from Arashyima bound to JR Umahori station.